On the surface, it’s somewhat inexplicable. When healthy – and for the first time in a long time he is – Troy Tulowitzki is an All-Star shortstop. That’s practically a fact, even beyond the friendly confines of Colorado. 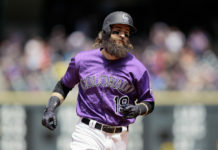 Last night, when Major League Baseball revealed the reserve All-Stars, the Colorado Rockies were awarded two roster spots. The face of the franchise, however, wasn’t one of them. While Nolan Arenado and D.J. LeMahieu enjoy their first All-Star appearance, Tulowitzki was denied the honor. How can this be? As was pointed out by James Merilatt in yesterday’s Daily, Tulo has been “great.” One can certainly debate his greatness, but for a game steeped in numbers, a closer look at Tulowtizki’s stats reveals that the claim is defendable at the very least. He’s hitting .321, which leads all NL shortstops (and is fourth in the league, only behind three starting All-Stars). His on base percentage is a healthy .358, again, topping the NL at the position. Slugging percentage? It’s .489, again best in the NL. OPS? A healthy .847. You guessed it, top of the list. He’s tied for the lead in doubles too, with 19. The only major offensive categories that Tulowitzki doesn’t rank highest among NL shortstops are RBI and home runs. He’s got 44 RBI, ranking him second behind All-Star reserve Brandon Crawford, who has 49. Tulowitzki has hit nine home runs, which places him fourth. Granted, he hasn’t demonstrated the power that he has in past years, but still, it’s not as if he’s lagging far behind. Crawford, the leader, only has 12, while All-Star starter Jhonny Peralta – as voted by the fans – has 11. Defensively, Tulowitzki, Crawford and the Peralta are all fairly comparable. Tulowiztki owns a .976 percentage, Crawford is slightly above him at .978, while Peralta gloves at an impressive .990. Tulowitzki has built a reputation as one of – if not the – best shortstops in the game. The arm, the range – it’s all there. It’s a close call to be sure, but it certainly seems as if Tulowitzki deserves consideration. But it appears that the players – who are ultimately responsible for selecting the first reserve at each position – and the manager – who is charged with selecting four additional position players to round out the roster (so long as every team is represented) – didn’t feel that way. Based on the results, the NL players felt Crawford was the best choice behind Peralta. And Bruce Bochy, Crawford’s manager in San Francisco, didn’t feel that Tulowitzki was deserving of one of his final roster spots. Shortstops who have possessed Tulowitzi’s 2015 numbers and didn’t make the All-Star team are few and far between. At the risk of hyperbole, it looks as if Tulowitzki has been snubbed. But why? What inference can be made? As sure as death or taxes, any Rockie’s numbers will be discounted because they play at Coors Field. That’s a given. Oddly though, that didn’t affect LeMahieu, who ranks third or lower in every key offensive category among second basemen. Perhaps Tulowitzki’s counterparts have silently voiced their own opinion about the number of “off days” given to the Rockies shortstop. Perhaps they – like Rockies fans – don’t like the fact that the team’s star has only played in 74 games despite his relatively healthy season. When the rosters were announced, Crawford had logged 81 games; Peralta had 79. Or maybe, Bochy has taken note of something that’s boiling below the surface. 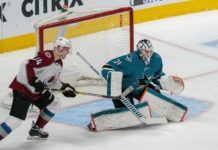 As milehighsports.com staff writers examined in a recent “Read Between the Lines” article, something isn’t right between the Tulowitzki and manager Walt Weiss. There seems to be a passive-aggressive handling of how Tulowitzki is managed on off days. Does the shortstop want to play but the manager or organization isn’t letting him? Or does the player stubbornly refuse to DH or pinch hit when he’s not supposed to play? The truth may never surface, but something is unquestionably amiss. Maybe Bochy was reluctant to reward a player who isn’t clicking with his own manager. Regardless, the Rockies Star – minus the All – is now subject to the silly Esurance MLB All-Star Game Final Vote, an online contest in which fans determine one final roster inclusion for each team. 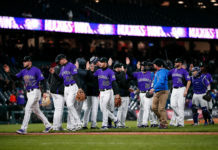 At precisely 6:04 p.m. last night, the Rockies P.R. staff sent out a release, introducing and outlining the “#TULO ALL-STAR FINAL VOTE CAMPAIGN.” From now until 2 p.m. on July 10, fans will be hounded to put the Rox shortstop onto the NL’s All-Star roster. Sadly, for Tulowitzki and Rockies, it has come to this.